After the death of Mrs. Gracy Garnett, Charles “Pat” Brewer established Brewer & Son Funeral Homes in 1965 in Brooksville, Florida. The Garnett Funeral Home, at that time, was the only funeral establishment in Brooksville. Pat saw an opportunity to go into business for himself and, thus, did so. In the beginning, he ran the funeral home, ambulance service, and did his community service while competing against one other funeral establishment. Eventually, both funeral homes would turn the ambulance service over to the county. In 1974, Pat saw an opportunity to expand his funeral business to the underdeveloped west side of the county called Spring Hill. This proved to be an extremely successful move, as Spring Hill now encompasses over 80% of the county’s population. 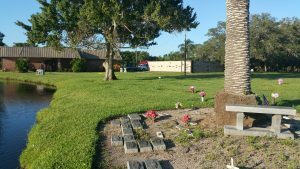 In 1980, Pat purchased Grace Memorial Gardens Cemetery in Pasco County, later selling his interest to his partners in order to concentrate his energy on the growth of Brewer Funeral Homes. All of this occurred successfully while raising a family, leading several civic organizations, being a trustee at his church, and running three political campaigns. In 1984, Pat’s son, Barry K. Brewer, joined the family firm. After several years of self-employment in the construction industry, Barry had completed studies in Mortuary Science at Miami-Dade and Business Administration at Pasco-Hernando Community College and University of South Florida. While in Miami attending Mortuary school, he worked to perfect his skills in funeral service and became very proficient in the marketing of pre-arrangements. After returning to the family firm, he used those skills to begin marketing pre-arrangements in Hernando County. At the time, no other funeral home had become aggressive in the market place, and essentially there was a whole new market to tap into. Through the next few years, Barry worked diligently and developed a self-supporting prearrangement department. In 1987, Barry took over the management of the Spring Hill location on Commercial Way. 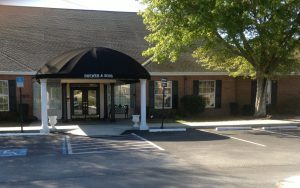 Shortly after Barry began managing the Spring Hill location, Pat and Barry developed a five to ten year business plan, which included the addition of two new funeral home locations and a plan for the growth of the Eastern portion of the county during the first five years; the ten-year plan included the acquisition of several established firms. In 1992, they completed the Seven Hills Chapel and in 1994 remodeled an 11,000-sq. ft. bank building into their fourth location and one crematory. Shortly thereafter, they began making offers on several local funeral establishments. Although many appreciated the offers, they were not ready to sell. So in 1995, the Brewer Funeral Homes and Crematory was merged with Equity Corp. international (ECI) to further achieve their ten-year plan. Pat chose to take a less active role in the day-to-day activities, but joined the corporate development team of ECI. Barry, while also on the corporate development team, chose to continue managing the firm. While associated with ECI the company grew from 100 funeral homes to 326 funeral homes and 18 cemeteries in 35 states and 1 Canadian province. The growth had been substantial and it had been a complete team effort, company wide, with everyone playing a big role in its success. However, August 6, 1998, ECI announced its merger with Service Corp. international. As of 1999, SCI owned and operated approximately 3600 funeral homes, 500 cemeteries, and 175 crematories in 18 countries on 5 continents with annualized revenues approaching $3 billion and have been established since the early 60’s. In a company that size, it would be very difficult to make a true difference in the future of operations and/or it’s growth and it does not work within the parameters set in the original ten-year plan. This is the reason for starting FAMILY OWNED SERVICE COMPANY, INC. (FOSC),to continue the original Brewer plan, continue to care for families and make a true difference in the industry. The first acquisition of FOSC was completed April 14, 2000 with the purchase of our Orlando location at 115 West Gore Street. In February 1999, we entered into litigation with SCI to force them to allow us to exercise the “first right of refusal” that we had contractually agreed to with ECI in 1994. Due to the merger mentioned earlier, we felt we had the right to buy our funeral homes. On June 25, 2001 we purchased all three of our funeral homes and our crematory successfully bringing an end to the litigation and bringing these properties back into the family of “Family Owned Service Company”. 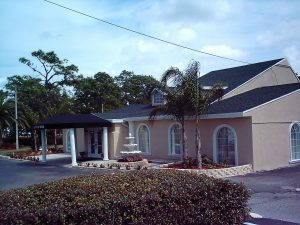 On July 15, 2003 Mark III Funeral Homes, with two locations in Tampa, Florida was acquired by Family Owned Service Company. Mark III and the Curry family have a long history of quality funeral care in the Tampa Bay area. We are proud to have them join our company. This acquisition brings our company to 6 locations in 3 counties. Our plan now was to buy or build funeral homes between Tampa, Orlando, and Brooksville/Spring Hill. 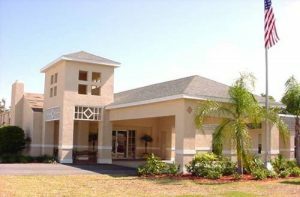 On January 26, 2004, Kurfiss Funeral Homes of Lake County (Clermont and Groveland) was acquired by Family Owned Services Company. We are proud to have this 3rd generation funeral home join our family. 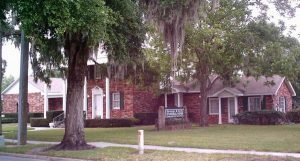 With the subsequent sale of our Orlando Funeral Home, this acquisition brought our company to seven locations and one crematory in three counties, all with the Brewer and Sons Funeral Homes and Cremation Services name. In June 2013, Ryan Brewer (Barry’s 2nd son) joined Family Owned Service Company after graduating from FIU with a Business Finance Degree. Ryan is working in our Executive Center in Brooksville as Trust and Investment Administrator. Ryan is also helping develop our management systems and assisting in our Accounting Department. On October 15, 2013 Family Owned Service Company entered into the Pet Care Business. My Pets Funeral and Cremation was started to care for pets in a dignified professional manner. We feel the present state of pet care is more like mass communal cremation than the individual loving care that is due to that of a pet parent. On July 10, 2014 we entered into an agreement to manage Masaryktown Cemetery through Associated Consultants of the Funeral Industry. The cemetery was established in the early 1900’s by the Czechoslovakian Community of Masaryktown. Since then it has been maintained by volunteers. As the years passed the volunteers were not able to keep up with the necessary maintenance and management issues required to run the cemetery. That is why we stepped in to assist. Through our management agreement we will sell all products and services such as property, vaults, markers, benches, mausoleums etc. which will provide funding for the growth and maintenance of the cemetery. We plan to build private estates, mausoleums, and different religious gardens, Catholic, Jewish, etc. We also plan to establish a pet cemetery “Pets at Rest” on the property for the many families who do not have a final resting place for beloved pets. This agreement allows FOSC to be a complete “Death Care” provider. Funeral Homes, Crematory, Cemetery and Pet Services. On July 21, 2015, FOSC purchased the “Eternal Rest” Funeral Home and Cemetery in Dunedin, Florida. This property has a history of “BAD MANAGEMENT”. The recent owner purchased it from the State of Florida after it was placed in receivership from the previous owner. He unfortunately mismanaged the property as well. We chose to purchase the property not only for the financial opportunity, but we felt very strongly the families who entrusted their loved one to this location as well as the industry deserved better. Previous owners focused too much on the cemetery and not enough on the funeral home. We want to build a new more modern funeral home and redesign the cemetery into a Mediterranean village with mausoleums, private estates, water features, walking paths and other features that will make the property more inviting and tranquil. With the addition of this property FOSC now has 14 facilities seven funeral homes, two human crematories, two cemeteries, two pet cemeteries, one pet crematory, one care center(embalming) and one auto maintenance facility.